Oh no! I gave birth to a baby squirrel instead of a baby human! OK, not really. 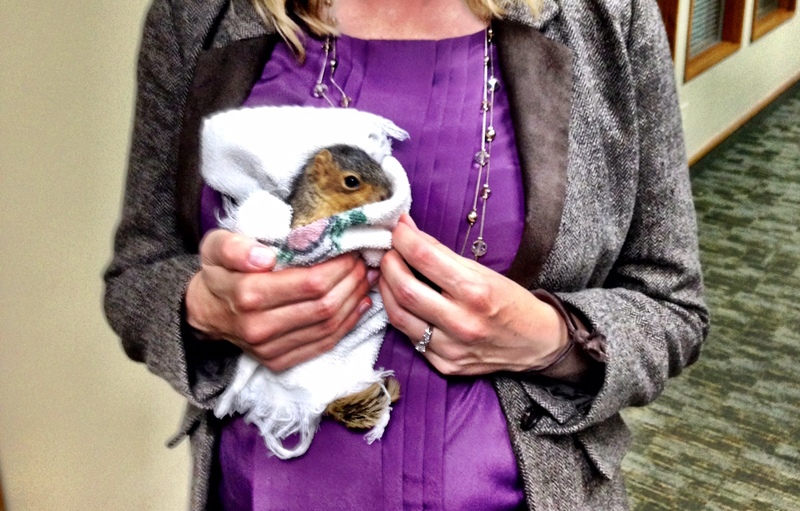 But I did hold a baby squirrel! One of Zach’s co-workers brought it into the office after she found it abandoned and helpless in her yard. So I had to go in and meet it, of course. I thought maybe I shouldn’t hold it because I’m pregnant, and what if it bit me and turned our human baby into a squirrel baby? Or caused something that’s actually biologically possible, like infect us with a nasty disease? The co-worker assured me that she had taken it to the vet, who confirmed it’s disease-free, so I went for it. But if I do give birth to an actual squirrel, we’ll know why. Four years ago today, this little banana-loving monkey bunny came bouncing into the world and into our hearts, and we’ve loved her ever since. Happy birthday, Pancake! 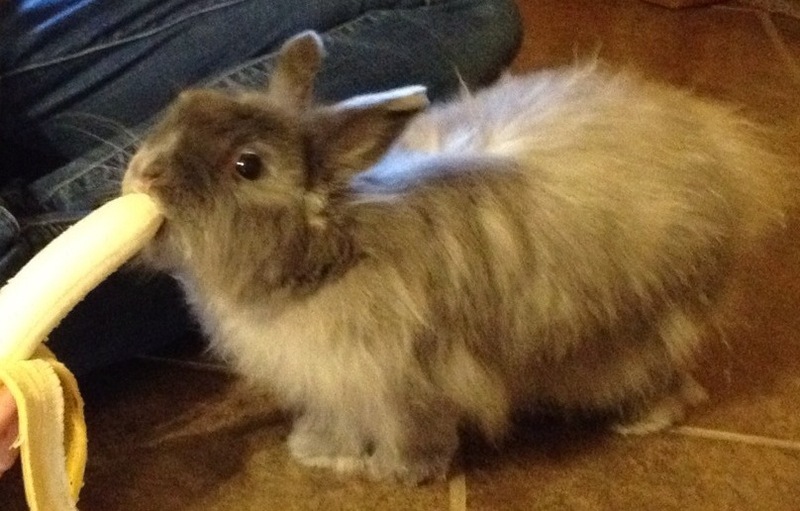 Extra bananas and bunny binkies for you today! Say hello to … Pancake! Happy third anniversary to our little flufflepuff! I received most of these items as gifts. 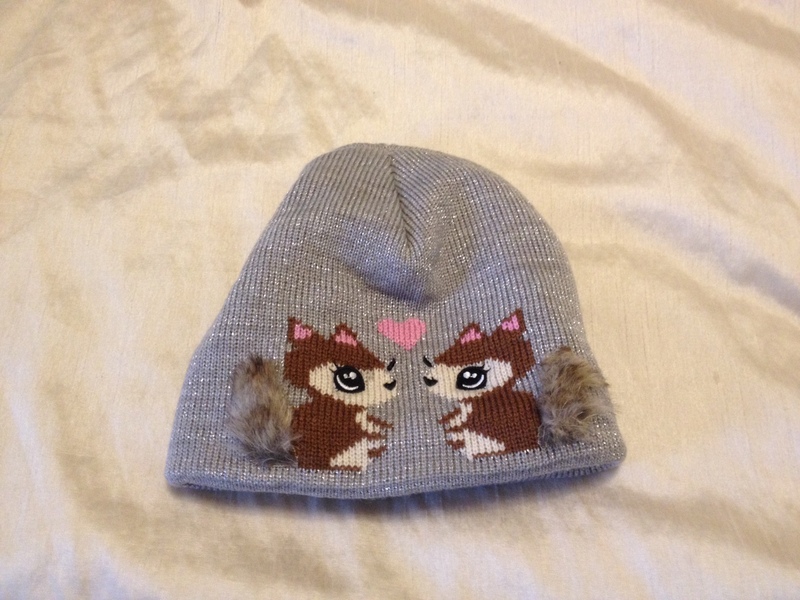 Once people find out that I’m The Squirrel, they just can’t help but purchase every squirrel-inspired item they see for me. 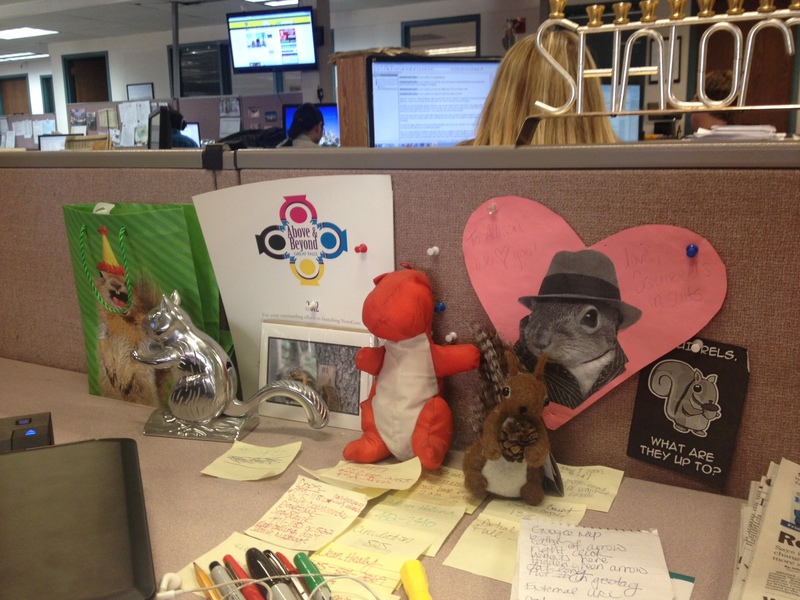 Screw Vegetarian Awareness Month … did you guys know it’s also SQUIRREL AWARENESS MONTH?! I knew there was a day of appreciation in January, but I was only recently enlightened that the entire month of October exists because of squirrels and our continuous need to be aware of them. 2) The greatest commercial ever, starring squirrels. YOLO! What are your plans for Squirrel Awareness Month? Have you come across anything particularly squirrelly lately?